In what started as a spoof of his own schooling, a fourth year University of Chicago med student's biology-related songs are now helping his fellow students learn their coursework. John Paro, who has been playing piano, drums and guitar since childhood, began writing med school-related songs his first year while struggling with an endless array of scientific terms. "The very first ones were sort of half-humor and half-mnemonic, because they're supposed to be kind of entertaining for the classmates," said Paro. "Then I realized that people could actually use them for memory tools and that's when I started leaning a little bit more toward the memory mnemonics and the memory devices, and I think for future songs that's what I'm going to hope to do." Now Paro sells his compositions online, and the track titles include "Pelvis Ho-Down," "Bought the Pharm," Barbershop Histology" and "Adenomuicarcinoma," just to name a few. 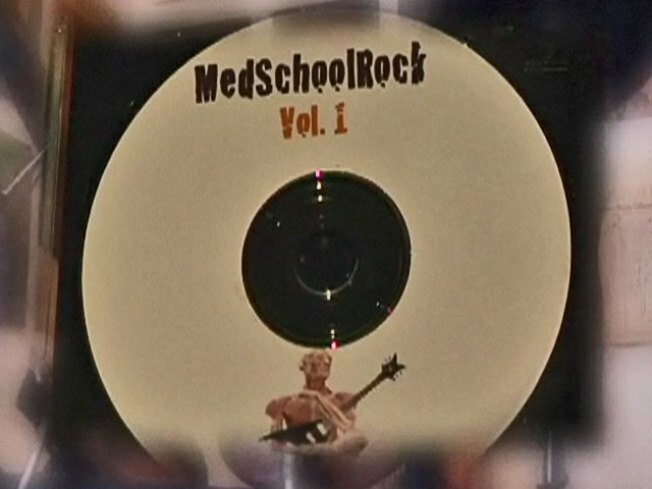 Check out Paro's full track list at his web site, medschoolrock.com.